When a top state and national amateur surfer sought to capitalise on a planning scheme amendment, he engaged south west architect Threadgold Architecture to bring the vision to reality. 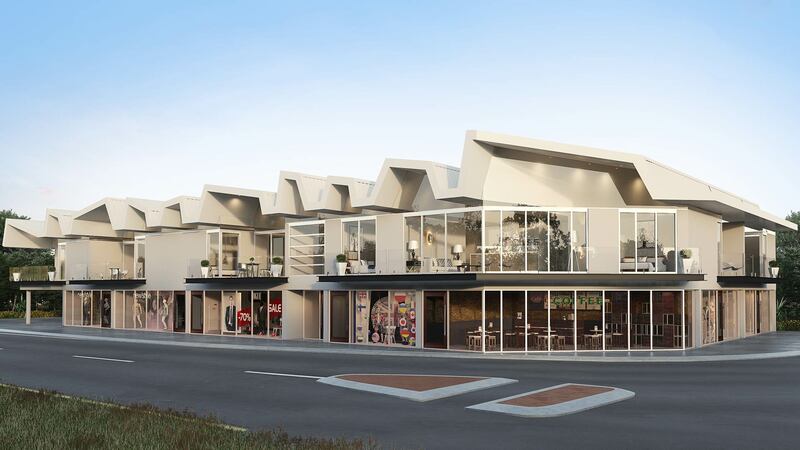 The local surfer engaged south west architect Threadgold Architecture for the feasibility study, sketch design and contract documentation of the south west mixed use building in the heart of the south west surf coast. The site’s proximity to the coast and the client’s desire for a fluid and organic solution informed the parameters for this south west mixed use building. The rezoning of the coastal site to mixed use building R-AC3 made way for the demolition of the existing dated single residential home and the tender and construction of the south west mixed use building consisting of ground floor commercial tenancies and first floor apartments. The south west architect extended the organic roof form of the south west mixed use building to encroach the road reserve and cover the expansive open outdoor living spaces; offering owners generous balcony entertaining while also capturing views to adjacent green open space and sky beyond. The south west mixed use building accentuates the corner site and shelters the adjacent road reserve, contributing to the new development axis and fostering pedestrian activity. The south west mixed use building is sympathetic to the recently drafted local planning strategy and the City’s central conceptual plan. The south west architect incorporated a combination of concrete block and paint finish rendered clay brickwork to allow ground floor commercial tenancy owners, who purchased off-the-plan to economically fit-out the ground floor commercial tenancies shells with a raw aesthetic should it be required. South west architect Threadgold Architecture utilised Maximum Australia porcelain panels and Arte Domus tiling as part of the first floor apartments finishes palette to create a clean contemporary aesthetic for this south west mixed use building.